In the cab on the way to the British Ambassador’s Ramat Gan Residence to hear writer Simon Sebag Montefiore discuss his bestseller Jerusalem, The Biography (Weidenfeld & Nicolson, 2011), I noticed the invitation was for two. I asked the cab driver if he wanted to join me. He said he wasn’t dressed for royalty. Pity. He would have enjoyed the baby kebabs and finger-sized felafels. I was going because I have had a long love affair with Jerusalem, which is waning, and because I was curious to see the Ambassador’s Residence (a step closer to royalty than I will ever get), as well as to hear Mr. Montefiore, great-great nephew of Sir Moses Montefiore, the philanthropist behind Jerusalem’s Yemin Moshe neighborhood. I was delighted to see Varda Bachrach there glowing in her seventh month of pregnancy. Varda is a former participant in my writing retreats who works for the Embassy and is, I suspect, the reason I was invited, since my lineage is one of horse thieves and milliners. The wine served in the garden worked its magic and in no time I was conversing with a Nigerian-born journalist living in Israel four years, a German UN worker who lives in Geneva and helps victims of terror get compensation, an Argentian journalist who has 150,000 readers, Tal who organizes the Mishkenot International Writers Festival and my friend, novelist Evan Fallenberg. The lawn was full of famous people. Nobody approached me and asked if I was, perhaps, the Queen. A few weeks ago a cashier in a restaurant told me I looked like the Queen. I almost dropped my humus on his watch. Did he mean I look regal or old? He explained it was my hat, a wide-brimmed sunhat. He had just seen the royal wedding on the tube and thought only royalty wears sun hats. Anyway, despite my anonymity among the rich and famous, I had a jolly good time even without the cab driver and when the crowd was asked to step down to the lower garden for the evening’s program, I was the first to jump. Montefiore is a well-groomed Brit with a nice tan and a warm smile. Apparently Great-Great Uncle Mo was obsessed with Jerusalem. He had the word Jerusalem inscribed on his bed, his forks and Lord knows where else. The current generation of Montefiore’s never took much interest in their paragon of an ancestor, though the elders tried to “run it down” their throats. That resistance changed when someone uncovered a juicy piece of research. At the age of 81, Sir Moses Montefiore (knighted by Queen Victoria) fathered a child with a sixteen-year-old house maid. This discovery boosted Sir Mo’s image enormously among the younger Montefiores. After listening to Montefiore, I rushed to buy the book, despite its weight. Then I hitched a ride in Evan’s Mazda sports car, the top of which he put down so we could see the tall buildings in Ramat Gan as he scooted me to the Arlozorov bus station. Prince Charles couldn’t have done it better and Jerusalem never seemed so lovable, up in the hills, a million miles away. 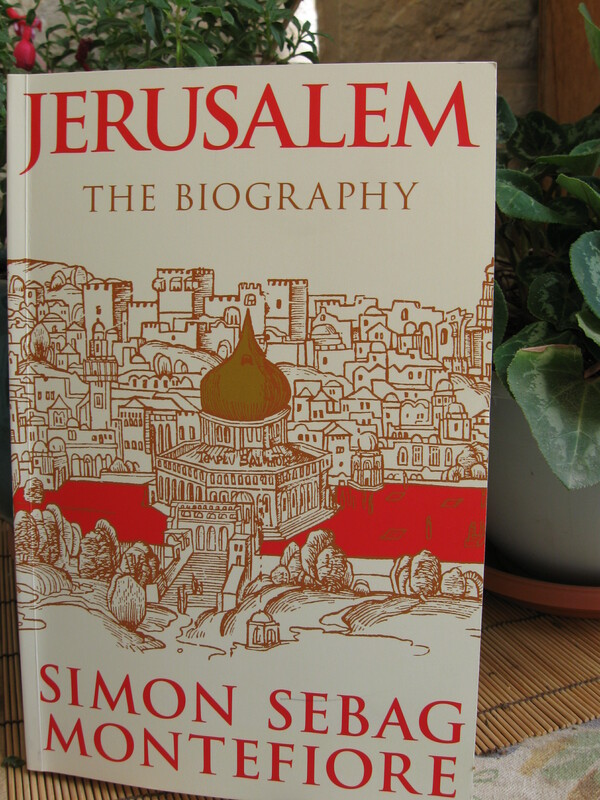 This entry was posted in Writers and tagged Jerusalem, Simon Sebag Montefiore. Bookmark the permalink.